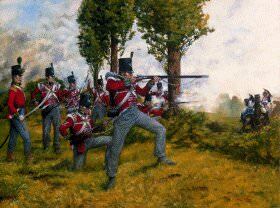 The 51st Regiment of Foot has an extensive history of involvement in the development of the line battle genre, originating sometime in 2004. Half Life 2 mod - Battlegrounds 2, Mount & Blade: Warband mod - Mount & Musket, Mount & Blade: Napoleonic Wars, and now, Holdfast: Nations at War. We originated as a competitive and teamwork oriented group focused on realism, which has been the esprit de corps of the regiment since its inception. We continue to strive to be the premiere community operating on the core beliefs of loyalty and merit with balance of maturity, fun, and competitiveness. The 51st Regiment of Foot leverages its many years of experience and leadership to mobilize the greater community and further the development of this style of gameplay. Further information about our history can be found towards the bottom of the thread. 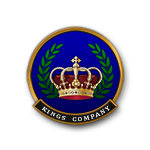 We offer professionalism, camaraderie, and 14+ years of experience in the organized community. Therefore, you can expect a well organized regiment which values dedication and loyalty with rewards based on merit. This stems from our long history of community engagement and development in this genre. As a result, we provide a unique atmosphere combined with high quality leadership and challenging gameplay with the intended outcome of enriching your overall experience. Members can expect multiple large community events throughout the week supplemented by productive and purposeful trainings. Members can also expect to contribute through community and game development playing an active role in shaping the future of the Napoleonic War genre. We welcome members from all different experience levels and backgrounds; whether you are a casual weekend player or competitive gamer you will find something you enjoy here. Join us in one of our linebattles. Here there are battles of up to 200 players from multiple regiments. You can expect fast paced action and several rounds in a variety of different maps. One of our Regimental linebattle events. Here there are battles of up to 200 players from multiple regiments. You can expect demanding high performance gameplay with other groups in the Holdfast community. This event is always started with a 30 minute warm up, starting at 19.30 CET to brush up on drills and individual skills. Trainings are 1 hour long and where the regiment works on improving skills and performance in events. This is where you’ll learn everything you need to know throughout your time at the 51st and work on improving your individual skills. 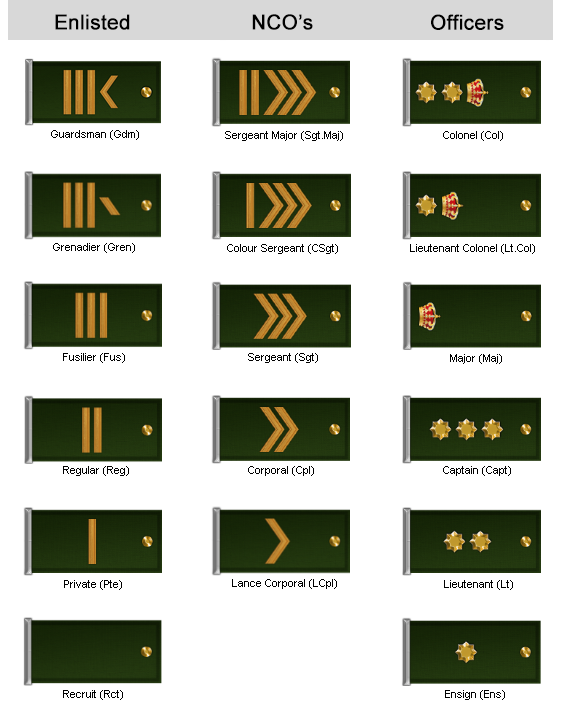 Formations and orders - e.g. platoon fire and wheeling. Shooting - Firing in volleys at distances effective up to 200m+. Melee - Both single and group combat tactics. Many more topics are covered throughout these training sessions. You can use this time zone converter here. The easiest way to get in contact with the regiment and a recruiter is through discord. Simply join the server with this link - Join Discord - and check out the #looking_to_join text channel for further instructions. An alternative method is to go straight to our website and apply. Having trouble? Need a question answered? We have have individuals up at almost any time of the day. Join Discord and type a message in #looking-to-join or speak to one of the many @Recruiters, @NCOs, and @Officers who are more than willing to answer your questions. Alternatively, add anyone below on steam. All ranks fall under one of three groups, Officers - Non-Commissioned Officers - Enlisted. These groups have different roles within the community and the game. The core members of the regiment. Everyone that joins the regiment starts here. The process of being a recruit process generally lasts two weeks for individuals to learn the ropes and become socialized to regiment norms. Further promotions are awarded for: activity, length of service, good conduct, and skill. These ranks are a reflection of dedication and loyalty and while recognizing a game-life balance. Non-Commissioned Officers are individuals who demonstrate exceptional skills and commitment within the regiment. These individuals contribute both in-game and out of game through administrative work and other activities. These activities are overseen by the regiment’s officers. Enlisted members are invited to apply for a junior NCO position once they have spent the requisite amount of time in the regiment. These are individuals who are responsible for the administration and main operations of the regiment. Officers are experienced senior members of the regiment whose leadership both in-game as well as out of game direct major regimental decisions and initiatives. As our history is entering it's 14th year, it has become long and detailed. Therefore, it has been condensed down into a year to year format that includes what we feel to be the most useful and important information. Sometime between 2004 and 2006 the original creators/members of the 51st play in some of the first line battles ever held online in the Half Life 2 Mod Battlegrounds 2 (BG2) released in 2005. 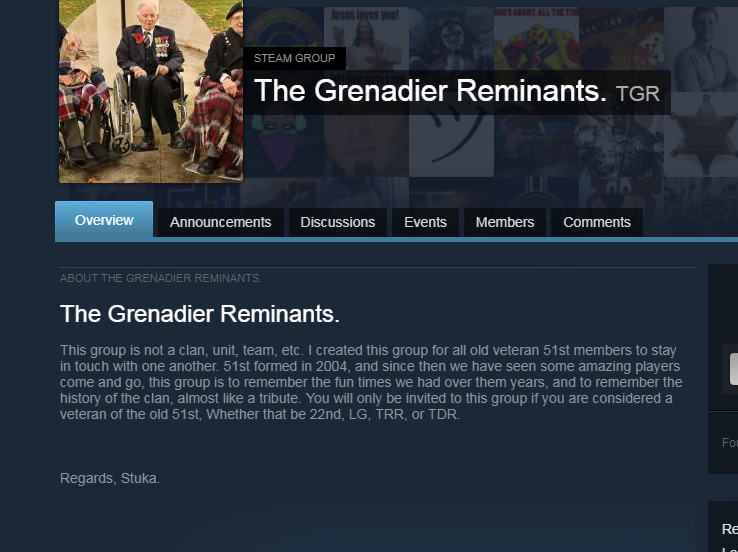 These members would later on go to form the the 51st Grenadiers, a group focused on competitive and fun gameplay. Following several years of active involvement in the line battle and skirmish community the 51st Grenadiers continues to remain an instrumental part of the development of the genre growing in size to be the largest group in BG2. The 51st Grenadiers are remembered in the community for holding daily public line battles and the creation of various line battle maps. 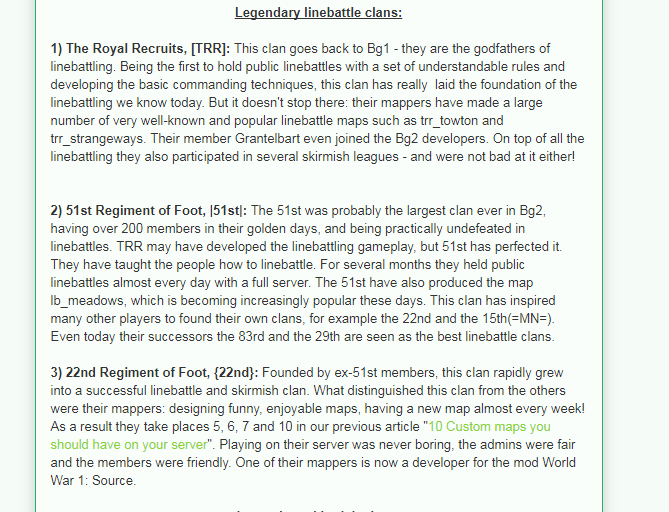 In the competitive sphere, the 51st Grenadiers would be remembered as a legendary clan influential in the development of line battles having a lasting influence on the genre. In early 2011, the 51st Grenadiers (at the time named 83rd Grenadiers) would move into the Mount & Blade: Warband mod - Mount & Musket actively participating in the development of the game leveraging its many years of experience in line battles which were becoming increasingly more popular. We would officially reform as The 51st Regiment of Foot. Mount & Musket would eventually be released as the official DLC “Napoleonic Wars” with various 51st members playing essential parts in community development/management, and content creation (such as maps and models). After a distinguished foray into NW the 51st would return from retirement to participate in pre-alpha testing of Holdfast: Nations at War. Following the official launch of Holdfast: NaW into early access the 51st would continue the legacy of professionalism, competitiveness, and contribution to the game and genre. Having retained much of the same core leadership and members for nearly one decade as well as nearly 14+ years of experience in organized gameplay and line battle experience the 51st Regiment of Foot continues to offer an engaging experience for individuals interested in a mature and welcoming community. Lt.Col. 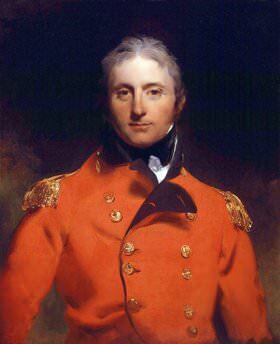 John Moore - Commander at the sieges of Toulon and Calvi. 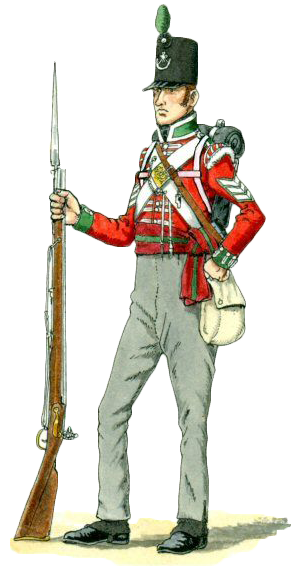 51st (2nd Yorkshire West Riding) Regiment of Foot - Battle of Waterloo. Ferkison - Every event Ferkison is at he'll stream! Check out his twitch at the event times at the top of the thread for when to tune in. Also, all previous streamed events are available to watch there. Carl Klinke - Our resident youtube enthusiast. Carl has an array of videos from previous linebattles, so why not check them out! Official 51st Youtube - Whilst not currently in use, it's got loads of quality content from the M&B:Napoleonic Wars era of the regiment. Great for a bigger insight into our history! If you're trying to get into contact with the 51st for anything other than recruitment then please refer to the official regimental contact list below. The Resurgence!!! Lets go boys! Omg Yes! Best of luck again gents, not that you Need it Though. Happy to see you Guys again.